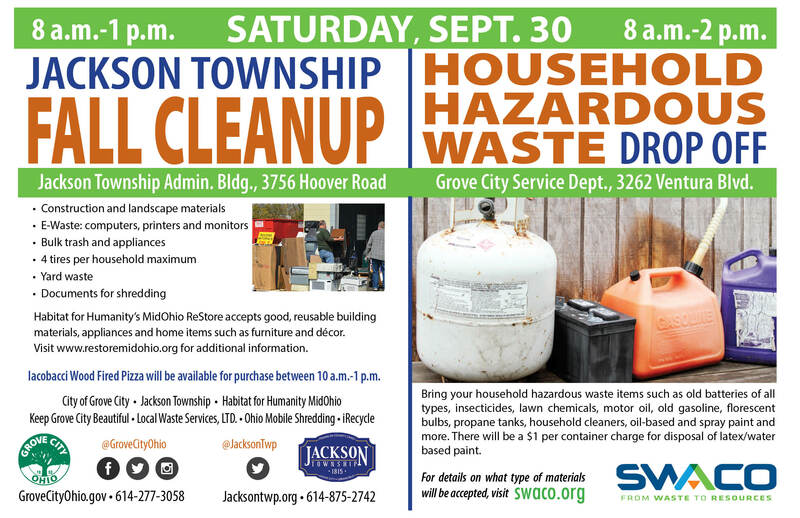 Jackson Township’s fall cleanup is on tap for 8 a.m. to 1 p.m. Sept. 30, 2017 at the Jackson Township Administration Building — 3756 Hoover Road in Grove City, Ohio. 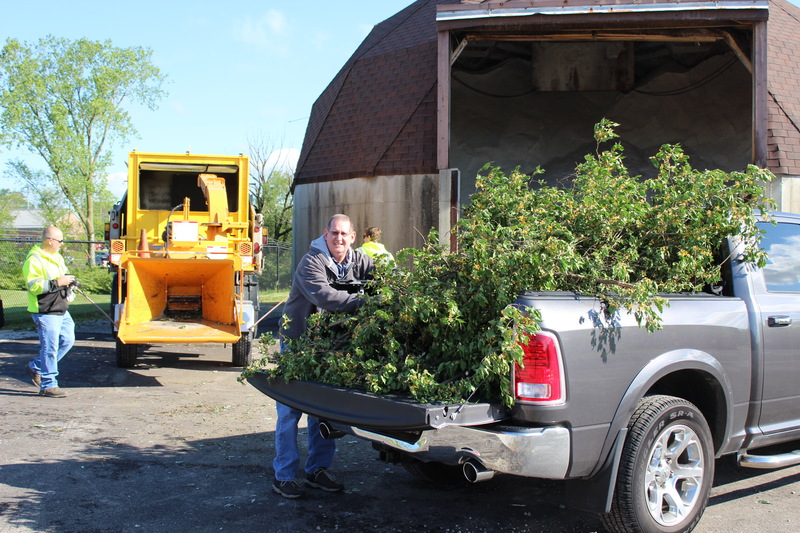 Jackson Township residents including those in the city of Grove City and village of Urbancrest at no charge may bring the following items for disposal: major appliances, televisions, construction materials, yard waste including shrubs and bushes, bulk trash and tires — limit four per household. Ohio Mobile Shredding workers will be onsite to provide safe, secure document shredding (guidelines), and a representative from iRecycle will accept computers, printers, cell phones and CPUs. New and used home goods, and home-improvement building materials will be collected by Habitat for Humanity MidOhio volunteers. New at this year’s cleanup is locally owned Iacobacci Wood Fired Pizza will be selling fresh, made-to-order pizzas from 10 a.m. to 1 p.m.
Cleanup event sponsors in addition to Jackson Township are the City of Grove City, Keep Grove City Beautiful and Local Waste Services. For more information, call Jackson Township at (614) 875-2742 or the Grove City environmental supervisor at (614) 277-3058. SWACO’s household hazardous waste collection: 8 a.m. to 2 p.m. In addition to the fall cleanup, there will be household hazardous waste mobile collection hosted by the Solid Waste Authority of Central Ohio from 8 a.m. to 2 p.m. Sept. 30, 2017 at the Grove City Service Department at 3262 Ventura Blvd. in Grove City. Franklin County residents may bring unused gasoline, lighter fluid, thinners, pool chemicals, oil-based paints, spray paints, fluorescent light bulbs, propane tanks less than 20 pounds, all types of batteries and corrosives such as drain cleaners. Latex and water-based paints are water soluble and not considered hazardous. Paint hardeners such as cat litter, sawdust or paper shredding may be added to latex or water-based paints to solidify any unused paint. Lids also may be removed to speed the drying process. Paints once hardened may be discarded with residential trash. There will be a $1 per container charge for the disposal of latex- water-based paint during the household hazardous waste collection. Residents can find a detailed list of accepted and non-accepted items at swaco.org.